I'm not saying I like the new Arriva LEO Bluetooth headset, I'm just saying I'm not sure how I ever lived without it. 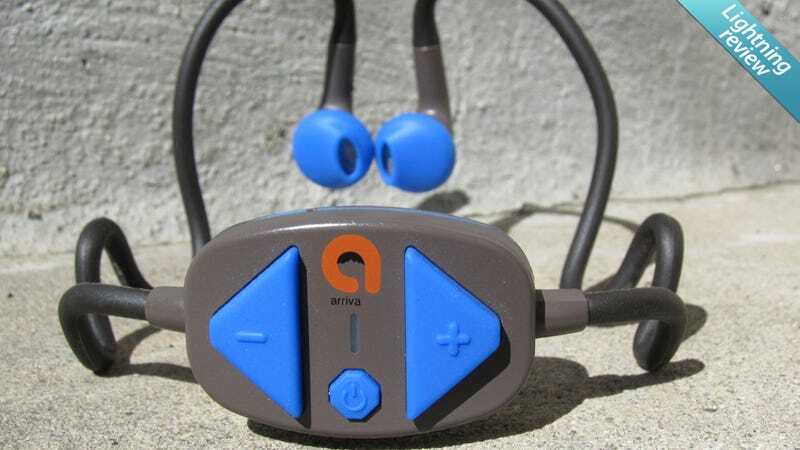 The Arriva LEO headset combines the rugged, sweat- and water-resistant utility of exercise ear buds with the wireless call clarity of a Jawbone ERA. And they're comfortable to boot. The elastic leads stretch and flex as you move your head to keep the control block seated firmly at the base of your skull, out of the way of hats and helmets. It's also intuitive to operate. A 100 minute charge via USB translates into 8 hours of talk time (7 hours when listening to music) and up to 120 hours of standby. While it's nice not having to cord issues, the LEO replaces them with Bluetooth connectivity issues, which can range from slightly finicky to downright aggravating. Like when I'm using them while riding, I can't put my phone in my front left pocket because it won't connect to the headphones—but putting it in my front right pocket gives me crystal clear reception. It's not a huge deal, my Jawbone gives me the same issues, but it can be frustrating nonetheless. $90 via Arriva. They'll contribute $5 to the Wounded Warrior Project for every set sold through their site.